I understand that this has worked for other franchises. James Bond is well-known for having been played by many different actors, with varied degrees of success. Superheroes aren’t immune from this either – Batman and Superman have been played by many different actors. In the case of the Dark Knight, different actors in the same continuous series. 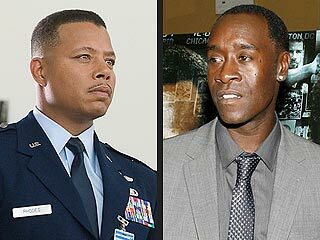 Even within the Marvel Cinematic Universe we have had recasting, from Rhodey miraculously changing from Terrance Howard to Don Cheadle. Even the heroes themselves – Edward Norton not just changing into the Hulk but changing back into Mark Ruffalo. These didn’t manage to derail the franchise though because they weren’t exactly, at the point of recasting, major characters. 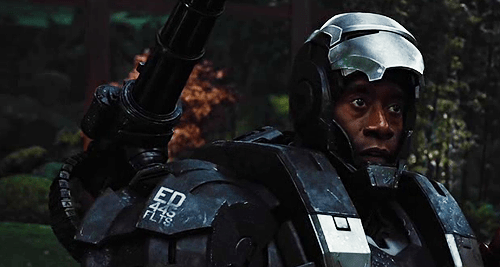 Rhodey wasn’t yet War Machine and Hulk wasn’t exactly the front and centre fan-favourite he has become. Iron Man is though! Downey Jr is Tony Stark and when he decides not to sign on the dotted line again – Marvel should just let that character leave. This is because Tony Stark is too central to the whole franchise. He started the whole Cinematic Universe and has been the heart of the team in both of the Avengers movies (or at least the funny-bone). Nobody will do as good a job of becoming Stark like Downey Jr did and it will be a huge distraction if he tried. It means that rather than watching the action unfold, the audience will be distracted by the actor pretending to be Downey Jr playing Tony Stark. This isn’t just the rule for Stark either. This should be the rule for all the characters in the Marvel Universe. Steve Rogers, Thor, even Clint Barton. One of the biggest strengths in the Marvel franchise has been the strong casting and the chance of striking lightening twice with the same character is a slim one. Notice that I’m mentioning each character by name rather than their heroic moniker. This is because someone else, other than Tony Stark, could become Iron Man. Steve Rogers has not been the only Captain America. In some cases, people prefer the newer, non-Peter Parker Spiderman! Someone else taking the mantle of an established hero is a good story, well-told in the past comics – just not in real life by the actors playing the characters. Marvel don’t need to do it either! Their ambitious and exciting line-up of movie proves that there are a whole host of different characters and their superhero alter-egos to be introduced. Keep trying to revive the older characters and you will begin to over-crowd a very tightly packed franchise. The end of Age of Ultron already demonstrated that there is more to The Avengers than the “original line-up” and a few choice actors retiring from their roles would force Marvel to get creative and trust in the even lesser-known superheroes they are trying to launch. I would much prefer an Avengers led by Spiderman or Doctor Strange than a movie trying to cram in every superhero introduced so far! Add to this the potential that retiring actors offers – actual character deaths that stick! Don’t have Tony Stark ride off in the sunset – kill him! Give him a glorious, gut-punching death that matters. Lead the audience down a path that they won’t see coming. The next movie is called Civil War – can’t have a war without a few casualties. Overall, Marvel will have to make a very difficult decision soon and I really hope they go with the wise-move of letting their actors leave and retiring their characters when they do. Marvel can’t afford to jeopardise their successful franchise by re-casting the most iconic characters so don’t bother. Trust in our new heroes and let the franchise develop – passing from the “old guard” to the new! Can you imagine the tough job an actor would have of replacing Downey as the new Tony Stark if they did recast? Almost impossible. It wouldn’t feel right with everyone just acting as if nothing has changed either. I completely understand that – it needs to be done right. It just seems a good way of demonstrating how high the stakes are. We are well into this series and there have been no character deaths of note yet, which is strange considering how dramatic they are making each new film. Reblogged this on Real Red Reviews. I think Downey Jr will give up Iron Man before Marvel want to. He seems canny enough to realise that he won’t be able to pull it off convincingly forever. I just hope that moment comes before it gets embarrassing to have an older Stark in the suits. Unless they kill him though – it would be a smart move to ensure that Downey Jr’s Stark could always reappear, even for just a cameo. But just because he gives up Iron Man, it doesn’t mean that he has to give up Tony Stark. He can still be around as the scientist who invents the cool gadgets. Exactly! I agree. I am all for Downey Jr being Stark. Just never recast the role of Tony Stark because that wouldn’t work! I know this is an old post, but I do not agree they should leave iron man go. Sure, Robert D can be the Alfred of the MCU, but someone else can come in and be a new Iron Man. You used Clooney’s example, but that was a bad cast decision (well, a good one coulsn’t save that film). If there is one thing we can say of Marvel is that they are able to make great casting decisions. Personally, I criticized their choices of Chris Evans, ScarJo, RDJ and Mark R… and paid it with my tongue! Eheheheheheh. Not to jinx it, but they didn’t do wrong and I have no reason to believe they will not recast right. Thor, Cap, Iron man can get a little time out, but not for long I hope. It’s not just the casting though. I think the stories will benefit from having the “old guard” leave and new superheroes take up the mantle. We still have to squeeze Black Panther, Dr Strange, Spiderman and others in yet!